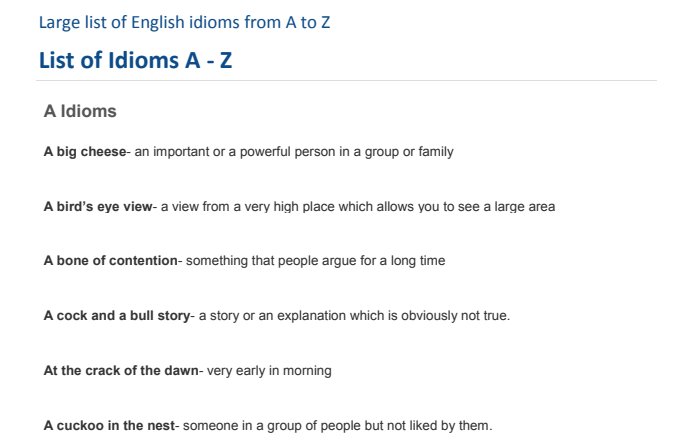 Hello Friends, Today are sharing with you English Idioms From A to Z Study notes. This English Idioms is very useful for upcoming various exams like SSC CGL, CHSL, MTS, Stenographer, IBPS, LIC AAO, RRB & Other common written exams. You may download pdf from the link provided given below.